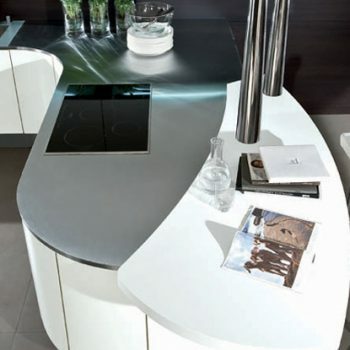 All German Kitchens are bespoke, providing impeccable quality design with seamless functionality. Designed for your home and your needs. 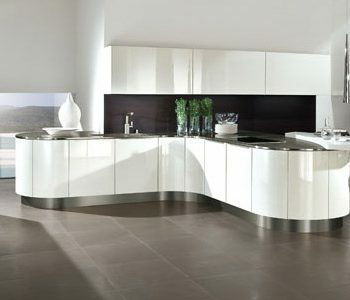 The durability of the hand crafted units makes German Kitchens from Blax a great investment for the home. 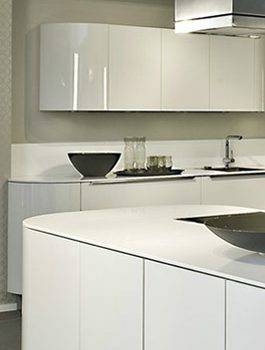 With Design and quality always at the core, German kitchens (engineered) provide everything you need to create the perfect kitchen in your space. 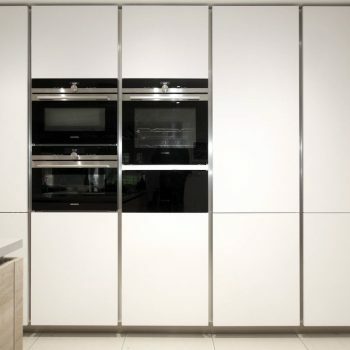 The bespoke made to order units will optimise even the smallest of spaces. Cleverly designed to offer a wide range of style and storage solutions. 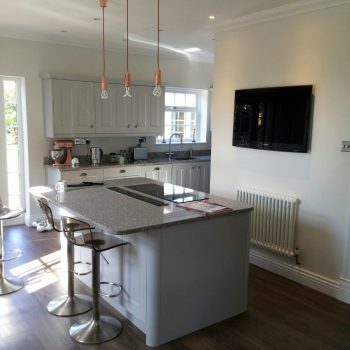 We instructed Blax Kitchens to design fit and supply our new kitchen following the refurbishment of our house. 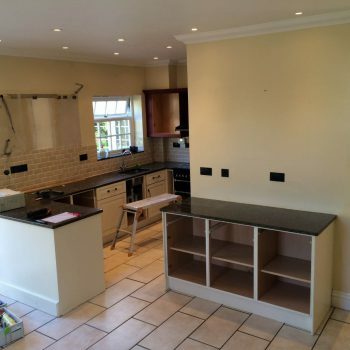 We were very happy with the service and standard of workmanship and are delighted with the finished result. 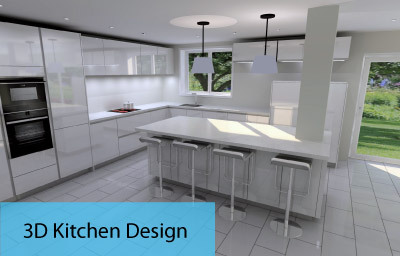 We took over one year to decide on our dream kitchen, and reviewed a number of companies and their services including Intoto, Lwk and Poggenpohl. 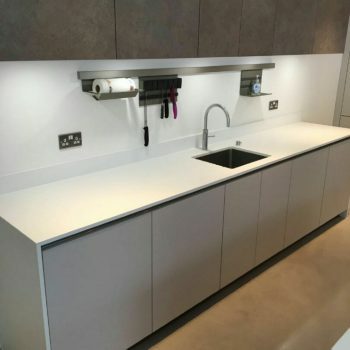 We finally chose Blax Kitchens, because of their ability to manage the entire project and deliver the high end specification we so desired. 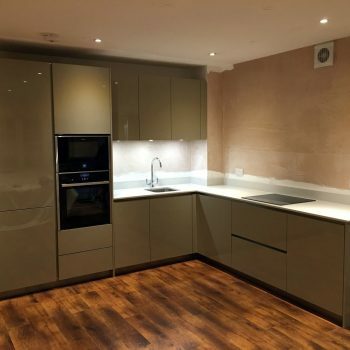 Tom and team managed the entire project from the removal of old kitchen furniture, tiles and ceiling to the building and installation of new walls, flooring, electrics and plastering. There were a number of changes during the project, for which Tom was extremely accommodating and helpful. 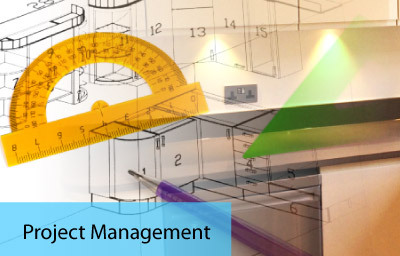 Having a single team manage the project helped remove some of the stress and meant we were dealing with only one company through the process. 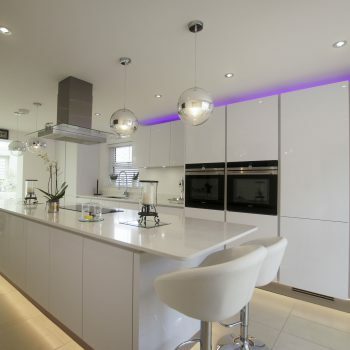 The final result is a high end, quality finished kitchen with the modern look and feel we desired. We are so pleased we chose Tom and team, for we are very happy with the final result. 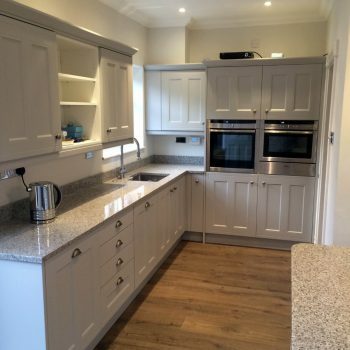 Tom @ Blax Kitchens completed the installation of our Kitchen and Utility Room in November 2016 and we are absolutely delighted with the end result. Tom was extremely knowledgable and professional . He gave us really good advice from the outset. He was always available to meet us and our Builders as the project progressed to discuss layout electrics and so on which ensured everything went really smoothly. Tom and team were sensational. From start to finish he was patient, expert and friendly and the finished article blow our socks off. We looked at 10 or so companies and selected blax as they really cared about the finer details and this carries through in all aspects of the design. We’re also useless designers and they coached us through everything and made the right calls on our behalf where we couldn’t decide. Very highly regarded, a friend has already engaged them for his kitchen and I can’t speak highly enough of them. We had to kiss a lot of frogs before we found Blax Kitchens. 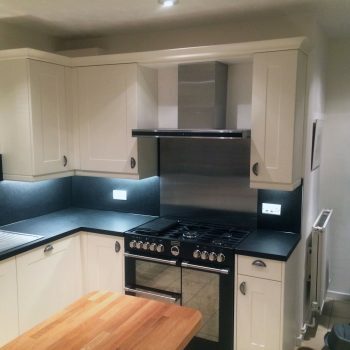 We knew exactly what we wanted, style, colour, fittings, even the make, Hacker, with a bespoke mantle feature over the hob, and had been looking for ages, but try as we may we couldn’t find anyone who could do what we wanted how we wanted. We found Blax on the internet, went to see them and all the problems disappeared, Tom knew straight away how to deliver our vision. Also, because we had been quoted by so many other potential suppliers, we knew that the price he gave us was really good. He was receptive to ideas, suggestions, changes and tolerant and patient to a fault. What was impressive was that he was willing to come back to do extras that were not on the spec, and which were probably not even his responsibility, without fuss or complaint, and he even threw in some feebees. Blax Kitchens did a great job, at a great price, with a great attitude. What more could anyone ask for. Amazing kitchens and great service from Blax Kitchens. Helpful, friendly and efficient at every step of our kitchen install. 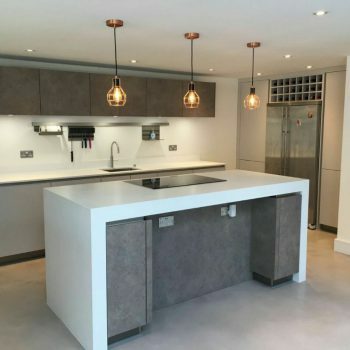 From the initial visit to measure up, ordering the kitchen, installing and even making a courtesy visit to check everything was perfect after the worktops were fitted. I would definitely recommend Blax. We used Blax for our Hacker kitchen through a recommendation from a close friend. We are very happy with the end result our kitchen is a superb place to be. 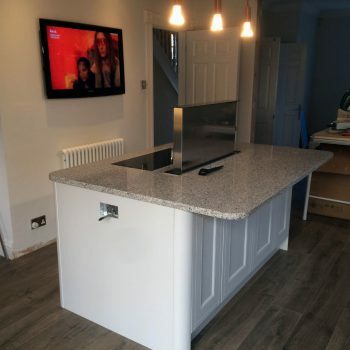 I want to say how impressed I was with Tom and Rebecca, they handled my kitchen project like it was their own from start to finish. I can highly recommend their services. I am very impressed with the workmanship Tom and his team delivered. I now have a beautiful high gloss Hacker Kitchen. Hi Rebecca I just wanted to say how pleased we are with our kitchen and have no complaints at all. I have recommended you to my brother who is looking for a traditional kitchen. Don’t hesitate to contact Blax Kitchens. 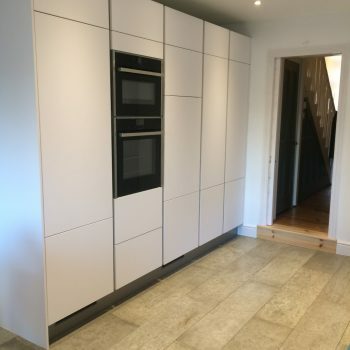 They have helped me out massively, I had a bad experience with another well known kitchen company and Blax Kitchens sorted out the problems and supplied me with a kitchen I never thought I would get. Thank you. Great job all round. Tom is very impressive, his knowledge and ideas are what won me over. 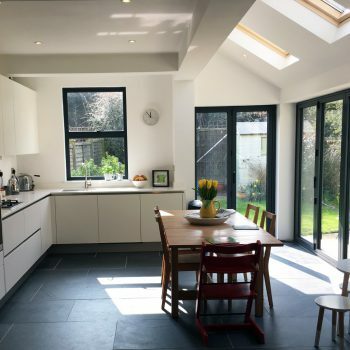 He strikes me as somebody who really enjoys what he does and helped us out with our design greatly – despite our relatively small kitchen. 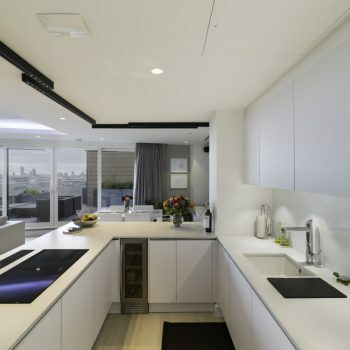 The features possible with the Hacker kitchen furniture are really impressive too. The information provided to us along the way and the ability to know when the payments are due as the project progresses is really handy. There were no issues with our installation either, Tom came and inspected the work being done and we are over the moon. Thanks to all at Blax Kitchens. I would like to express how pleased I am with Blax and especially Tom and Rebecca as they delivered to my every requirement from the design right through to the payment process. I literally couldn’t recommend Blax kitchens highly enough, Rebecca and Tom literally came to our rescue!! 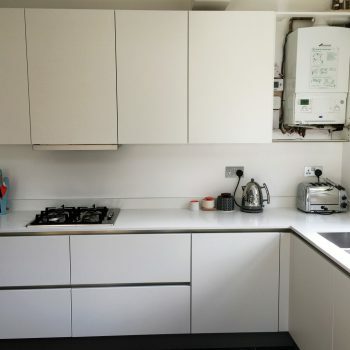 We had an absolute nightmare with other companies, one who badly designed our hacker kitchen and then another who badly fitted the kitchen before disappearing on us. I was 8 months plus pregnant and we had no oven or even running water in our kitchen. We spoke to Rebecca early on a Sunday morning who told us not to worry and assured us that Tom was a Hacker expert and the right guy to fix the problem for us, she was absolutely right! Despite being at a very busy time of the year they managed to find a day for us later that week and Tom and his team worked from 8-9pm to pretty much reinstall the entire kitchen. Despite the huge stress the other companies put us through it was immediately obvious once they began their work that tom knew exactly what to do and that we could finally relax ! 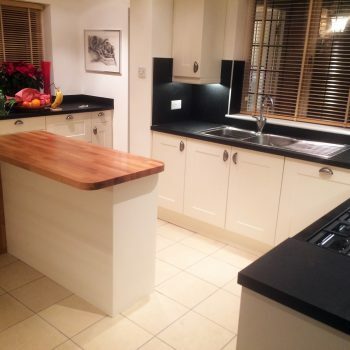 We had the worktop fitted by another company (as previously arranged) a week or so later. The kitchen is now beautiful, but I can’t imagine where we would be if we hadn’t called Blax! 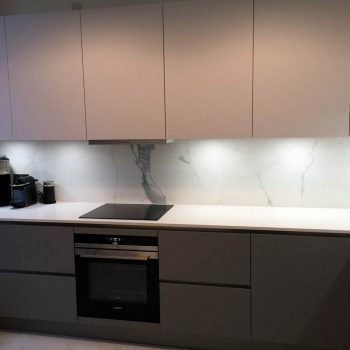 If I could turn back the clock I would simply use Blax kitchens from start to finish for design, fitting as well as the work tops. The design Blax produced for us blew us away, to be honest we had been looking around and got quotes elsewhere but we weren’t that impressed, but the design Tom did for us was just what we were looking for. Our kitchen isn’t that big but we really wanted a german kitchen and Blax did a great job of fitting in what we wanted. I’m so pleased I chose Blax kitchens. From the initial planning and design through to instillation, Tom and his team made it a pain free, enjoyable experience. Always available, approachable and happy to go that extra mile, the whole process went smoothly. I am now very pleased and proud of my new kitchen. Tom and his team totally refurbished our kitchen with skill and ease. I would highly recommend Blax Kitchens. 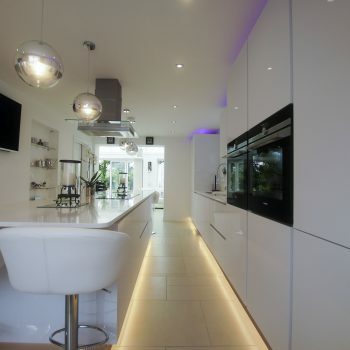 The whole project went very well and I was impressed by all aspects of their workmanship, cleanliness and manners. A great team all round. We would like to thank Tom Morgan and his team for completing our building works and fabulous new kitchen to such a high standard. Nothing is too much trouble for Tom, he is very conscientious and has a particular eye for design and detail. 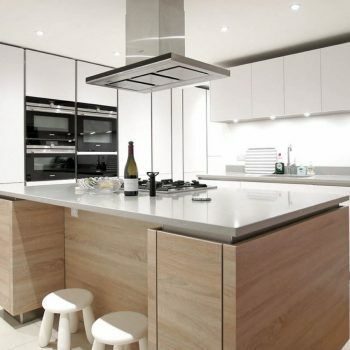 The kitchen is very well constructed and of high quality as well as being very reasonably priced. 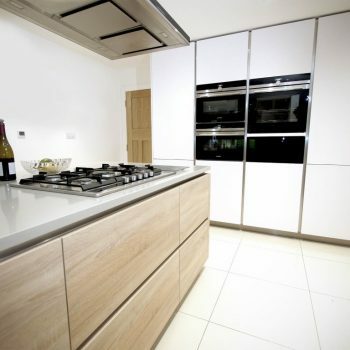 I would certainly recommend Blax kitchens to anyone without hesitation. 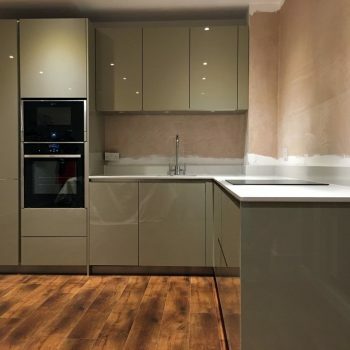 Many thanks to Tom and the team at Blax kitchens for designing and installing a stunning but highly functional quality German kitchen which is now the centre point of our home. Tom has an incredible eye for detail in both the design and installation stages and takes pride in a high quality finish. 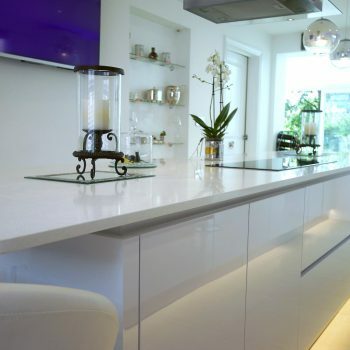 I wholeheartedly recommend Blax kitchens for stunningly designed German kitchens, with a personal touch. We found Blax to be competitive and we were happy to go ahead once we met them at our house, they were so friendly and gave us the right advice, another company had failed to point out where some appliances could and couldn’t go. The 3d drawing sent through was incredible and really gave us confidence in what they were going to do. Tom did a great job on my kitchen. It looks terrific and I am very pleased with the quality of the units. 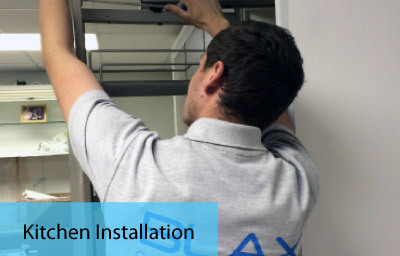 He and his team worked hard to get it fitted as quickly as possible and with minimal disruption. 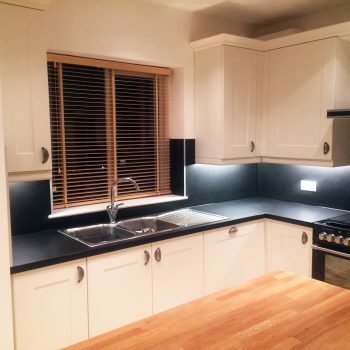 I would happily recommend Blax Kitchens to anyone looking for a great job at a very good price.